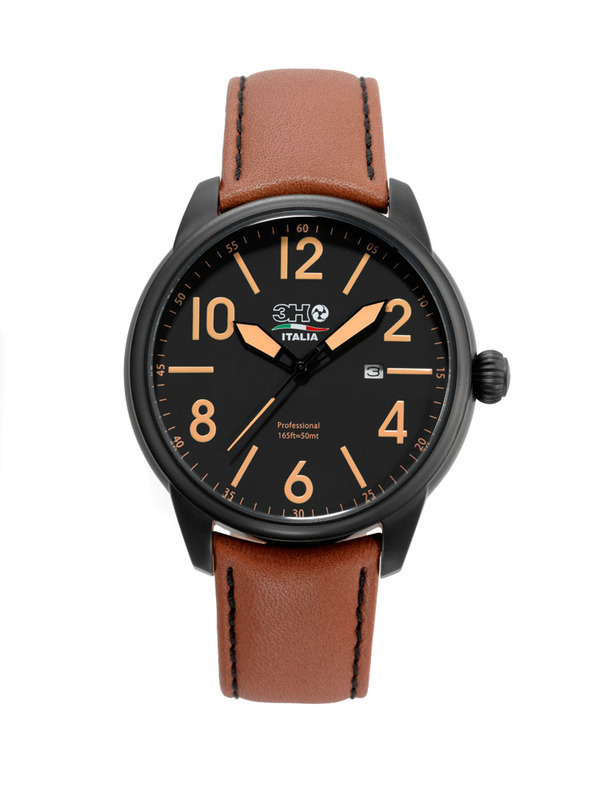 3H Italia watches have a reputation for rugged good looks and quality craftsmanship. This young Italian company’s unique ability to make a dramatic and colorful statement has made it a favorite with a wide range of celebrities from popular singers like Boy George to supermodels like Monika Erb. 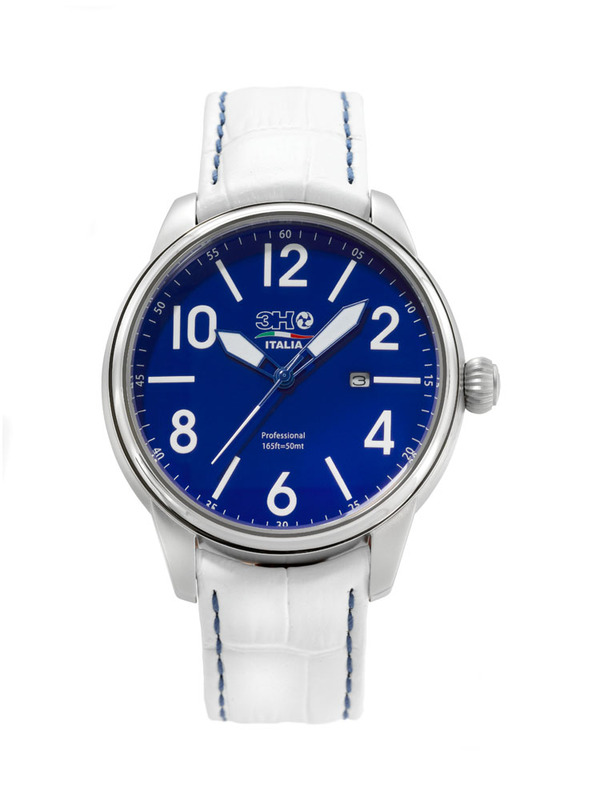 You don’t have to be a celebrity to enjoy the pleasure of having a 3H Italia watch on your wrist however. You don’t even have to be wealthy. With the introduction of the spectacular new 3H Italia Quartz Collection, just about anyone can enjoy one of these oversize beauties. 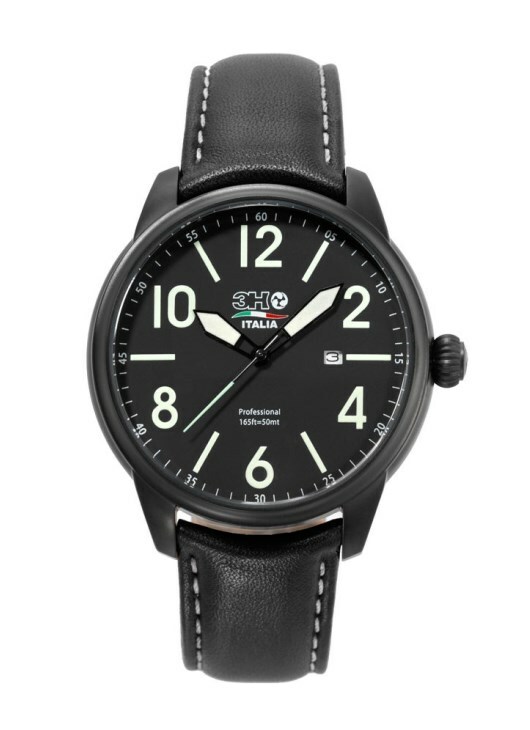 This authentically styled pilot’s watch features a bold, easy-to-read dial that an Italian fighter pilot would appreciate. 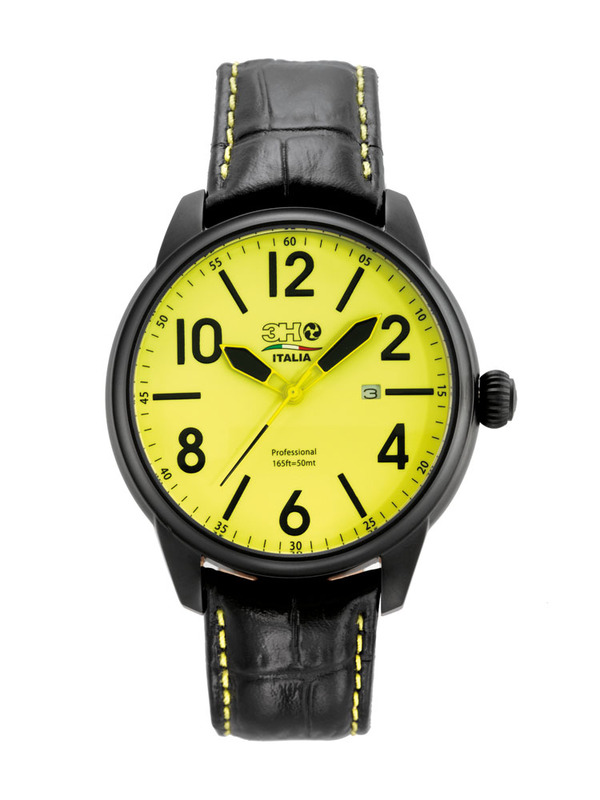 Available in ten exciting colors, this three-hand configuration is easy to read under even the most adverse conditions. This is the first quartz watch that 3H Italia has ever produced and the company went to great lengths to ensure that they maintained the same high quality standards their mechanical watches are famous for. The result is a finely crafted pilot’s style timepiece that costs much less than you’d expect. 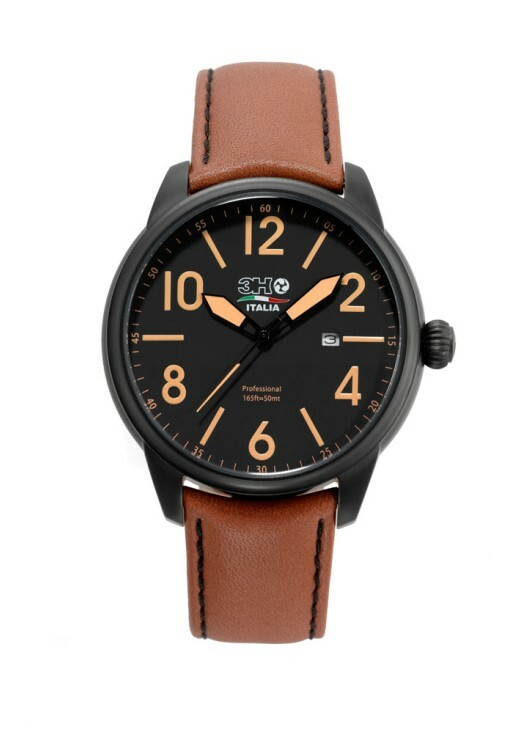 The addition of color to the authentically styled pilot’s dial will make this a popular watch with aviation enthusiasts and fashionistas alike. This dramatically oversized watch is hard to ignore on any wrist. The three-hand display features bright superluminova hands and includes a convenient date window at three o’clock. A sixty-minute scale circumscribed around the chapter ring augments the boldly marked indices for easy readability under all conditions. A durable mineral glass crystal protects the colorful dial and the stainless steel case is water resistant to a depth of 165 feet. 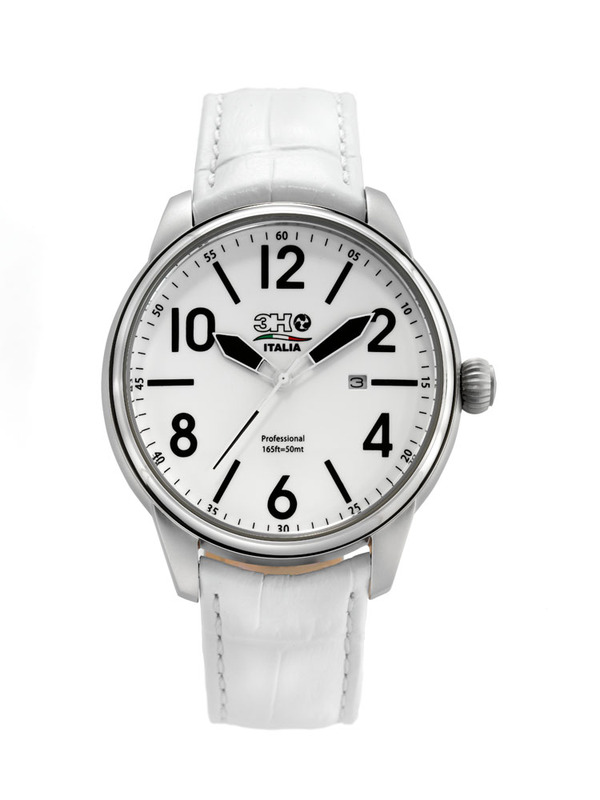 Each timepiece comes equipped with a luxurious genuine leather strap. If you’d like to join the growing list of people who’ve already discovered the allure of wearing a 3H Italia watch, all you have to do is contact your nearest authorized 3H Italia dealer and ask to see the new Quartz Collection. 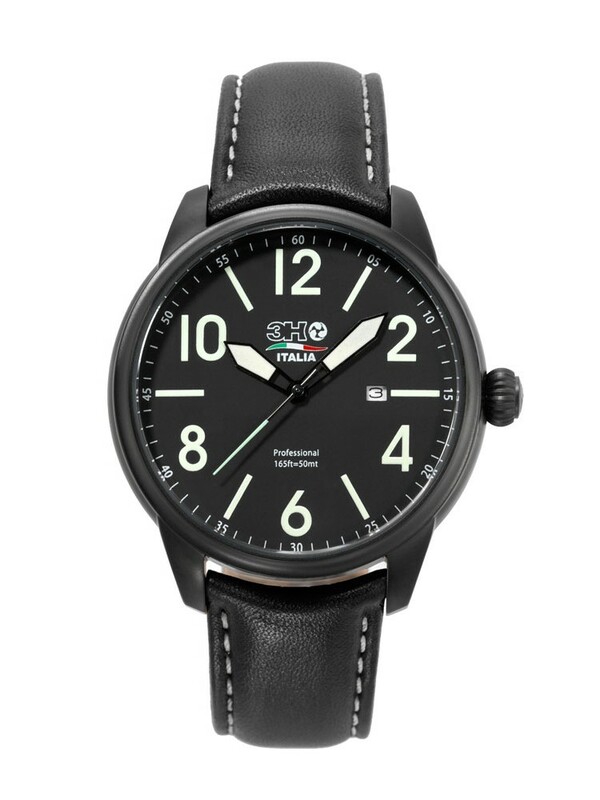 You may not be an Italian fighter pilot with one of these beauties on your wrist, but you’ll certainly look like one. Top cyclists like Andy Tennant know the importance of professional equipment. That’s why there’s a 3H Italia Oceandiver on his wrist. Professional cycling is a demanding sport that depends on well-maintained, professional equipment. Nobody knows this better than Andy Tennant. 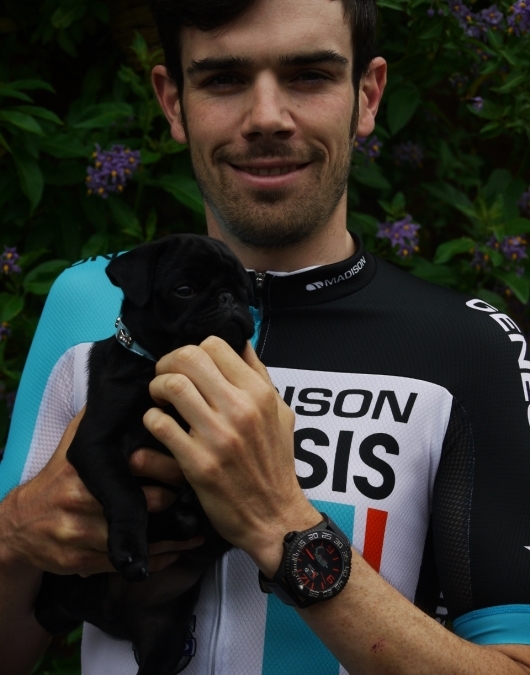 This rising star in the British cycling world was selected for the Team Great Britain pursuit squad at the London 2012 Olympic Games and now rides for the Madison Genesis team, where he takes up a position as one of the team’s lead riders. 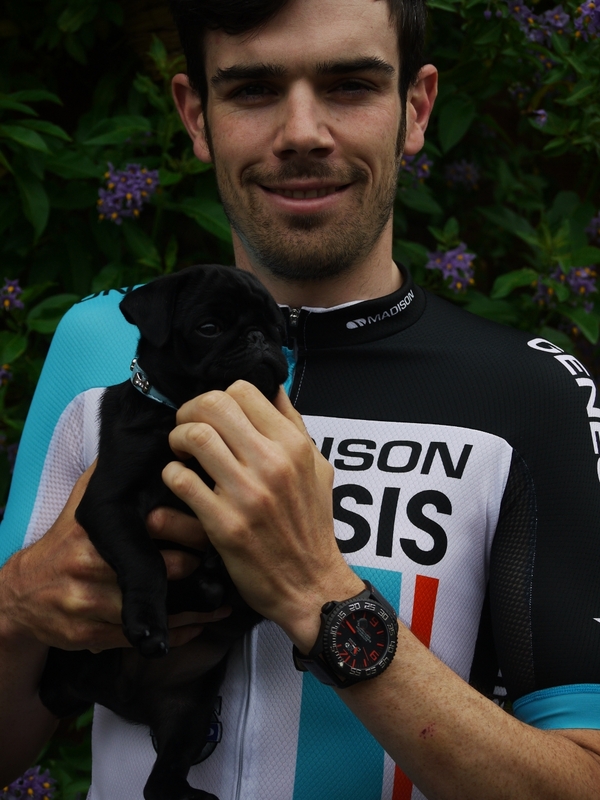 Andy is a well-established road racer with four tour series victories under his belt, along with senior track medals at the 2010 World and European Championships. Andy depends on the bicycle he rides and the watch on his wrist. His appreciation for professional tools led him directly to the 3H Italia DeepPro Oceandiver. With bright, easy-to-read orange numbers, a unidirectional rotating bezel, and a case that’s water resistant to an impressive 500 feet, the big, bold 3H Italia Oceandiver watch is a precision instrument that any serious athlete can appreciate. 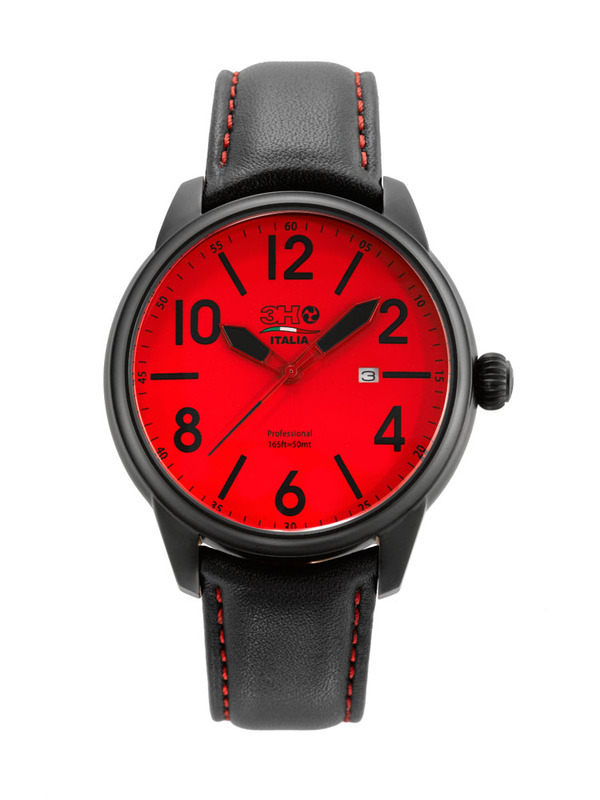 This fabulous 52 mm professional diver watch is powered by a premium automatic mechanical movement and features a protected crown, a durable mineral glass crystal, an integrated magnifying lens over the date window and distinctive bright orange numerals, hands and markers. Andy Tennant began cycling when he was just 14 years old. Four year later he was accepted onto British Cycling’s Olympic Academy Program and subsequently became the Junior World Champion in the Individual Pursuit and European Champion in the Team Pursuit. This promising young British rider has a bright future ahead of him, and so does the distinctive young Italian on his wrist. If you’d like to join the growing list of people who have already discovered the irresistible attraction of wearing a 3H Italia watch, talk to an authorized 3H Italia dealer today and ask to see the DeepPro Oceandiver that Andy Tennant wears. Hard to Ignore. So is What’s on His Wrist. 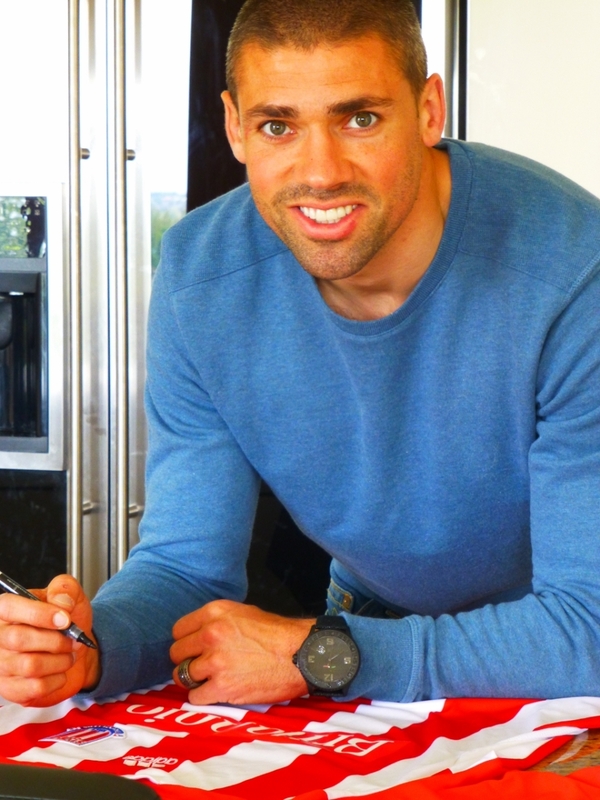 Star striker Jon Walters has already been named Ipswich Town Player of the Year in 2007, Stoke City coaching staff’s player of the year in 2011, Sir Stanley Matthews Potteries Footballer of the Year in 2012, and Stoke City Top Goalscorer in 2013. This talented player has already had a celebrated career with some of Britain’s top football clubs and recently played for the Republic of Ireland during the 2012 European Football Championships. 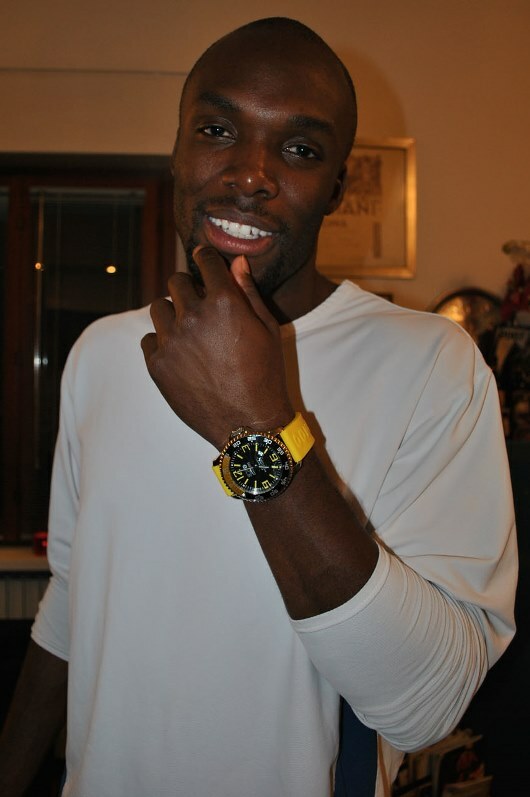 It shouldn’t come as a surprise that a footballer who likes to make a big statement on the field likes to wear an equally big watch. Walters has been seen recently wearing an oversize 52 mm 3H Italia Black Hole watch, which has also been seen on the wrist of other prominent European athletes, including Italian soccer star Gennaro Gattuso and British freestyle skier James ‘Woodsy’ Woods. It’s easy to understand why these top competitors like the distinctive Black Hole. This all black, PVD treated monster is one of the most dramatic diver watches on the market today. The stealthy looking timepiece is powered by a premium mechanical, automatic movement and features a unidirectional bezel inscribed with all black minute markers, and a durable mineral glass crystal with an integrated magnifying lens over the date window at 4:30 o’clock. 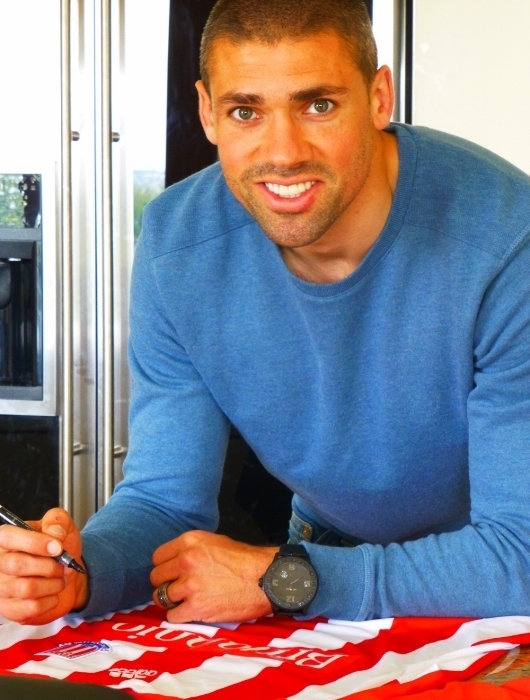 Jon Walters was only 16 years old when he was initially recruited by scout Mike O’Brien to play for Britain’s Blackburn Rovers. After playing on Blackburn’s reserve team, he went on to play for the Bolton Wanderers, Hull City, Wrexham, Chester City, Ipswich Town, and currently has a 2.75 million pound, four-year contract with Stoke City. He was the club’s top scorer with 11 goals during the 2012-2013 season and fans agree that he has a special talent that is hard to ignore. Equally hard to ignore is the impressive 3H Italia Black Hole watch on his wrist. LaShawn Merritt is hard to ignore. The world champion sprinter specializes in the 400-meter dash and is currently the fifth fastest man of all time, after an impressive win at the 2008 Summer Olympics in Beijing. Merritt was the number one qualifier at the 2012 Olympic Trials and was poised to defend his gold medal. Unfortunately he tweaked his hamstring during a race leading up to the 2012 Olympics and was unable to compete. 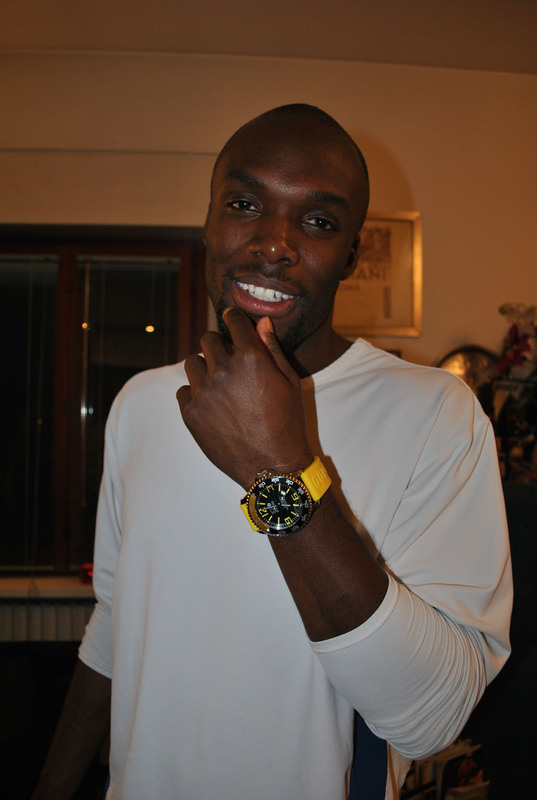 This year, LaShawn Merritt has chosen to wear a watch that is as impressive as he is: the boldly styled 52 mm 3H Italia Steel Diver. This massive precision timepiece features an easy-to-read three-hand configuration with a unidirectional rotating bezel and is water resistant to an amazing 500 feet. LaShawn knows a winner when he sees one and he has definitely selected a serious diving tool. The 52 mm Steel Diver is powered by a precision automatic mechanical movement and has a protected screw-down crown, as well as a screw-in stainless steel back. 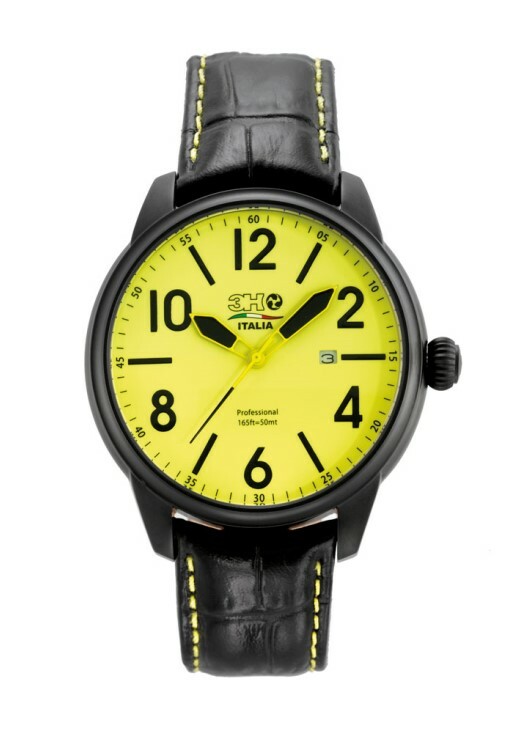 With bright yellow numbers and indices, a durable mineral glass crystal, and a magnifying date display between 4 and 5 o’clock, this is a watch that is ready for anything. 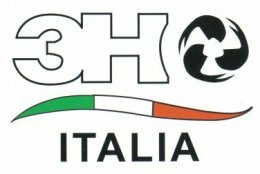 3H Italia has long been a favorite with professional athletes. 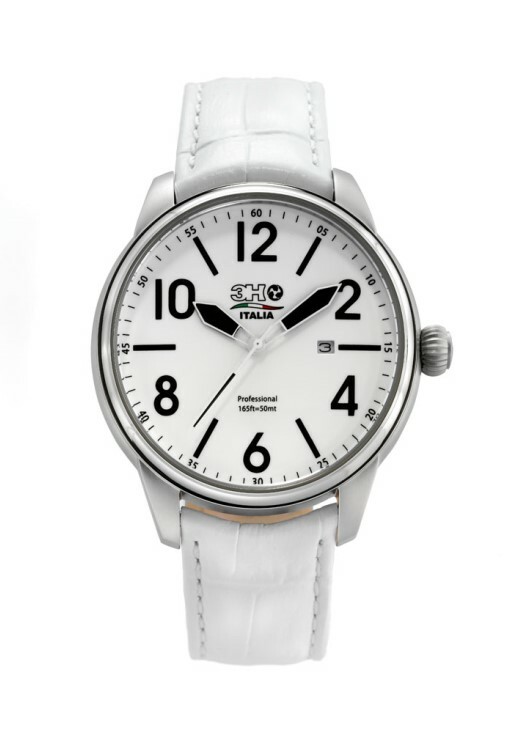 World famous soccer stars Rino Gattuso, Guti and Leonardo Bonucci all wear 3H Italia timepieces. So does championship racing driver Niki Lanik. 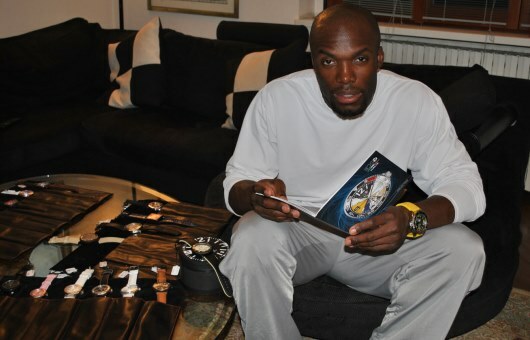 As the world waits to see if LaShawn Merritt can beat his own record time, we already know how he’s going to tell the time. If you’d like to wear the same watch as the fifth fastest man in the world, dash over to an authorized 3H Italia dealer immediately and ask to see the 52 mm diver collection. 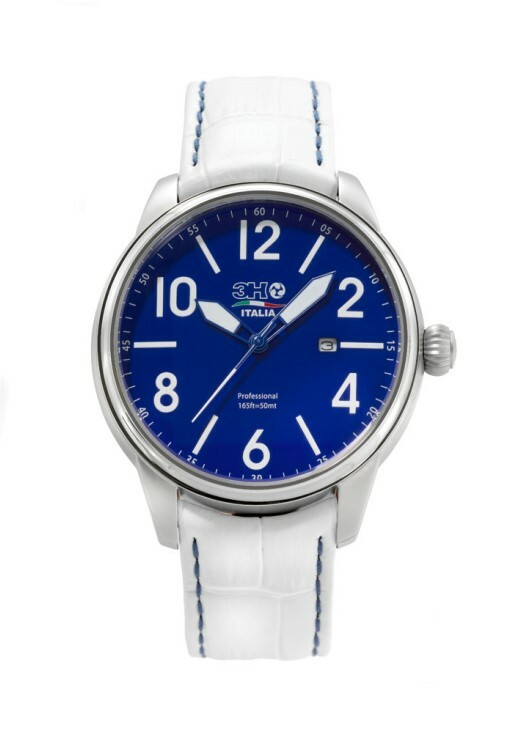 With headquarters in Viterbo Italy, 3H Italia now distributes their popular timepieces worldwide in countries including: the United States, Canada, Spain, Germany, Austria, Switzerland, Greece, the Netherlands, the Scandinavian Peninsula, Hong Kong, and Portugal. 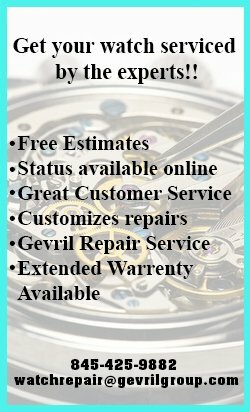 In the United States, 3H Italia timepieces are distributed exclusively by the Gevril Group.